Your giant canine pal will do the dance of joy for you if you bring him home one of these 10 top extra large dog beds with memory foam to sleep on! To be honest, I kind of want to curl up on one myself! Memory foam beds for dogs are the perfect solution for an older dog with joint issues. Not only are they low to the ground like they need, they offer much more support to help ease their pain. Larger beds are needed for your larger breed dogs, and this list has our favorites. At 4” thick, the Go Pet Club Solid Memory Foam Dog Bed with Waterproof Cover is a fabulous choice. The memory foam mattress is a nice thicker option for a dog that needs a little extra cushion. The addition of a waterproof cover makes it even better since cleaning is simple and fast. This pick is perfect for pups with arthritis or joint and muscle problems. It will keep its shape and not flatten over time! The Go Pet Club bed comes in several XL sizes ranging from 36″W x 28″L x 4″H to 55″W x 38″L x 4″H. Even the largest size is under $100, making this a great budget-friendly dog bed. 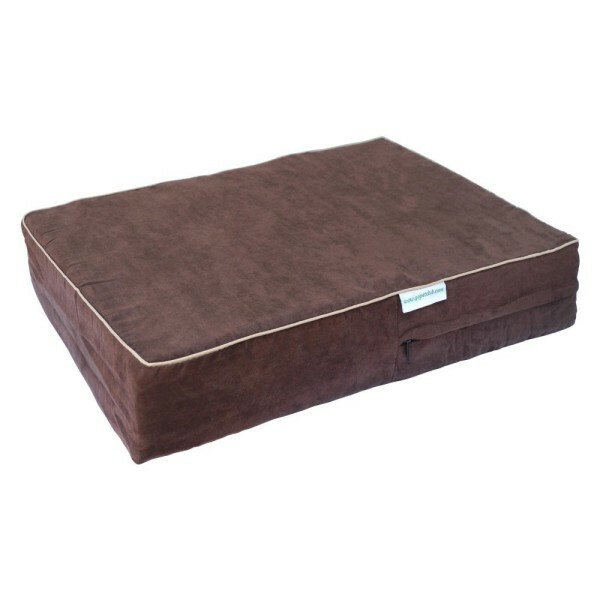 The Premium Extra Large Memory Foam Dog Bed is another great 4″ thick luxury memory foam bed for your dog. At 40×35 inches, it’s large enough for giant breeds, and super durable too. It comes with a nice sturdy denim cover that is easy to remove and wash as needed. There are also other great covers that you can choose from if you prefer. This is another fabulous budget-friendly choice, as the largest size is well under $100! The Pet Fusion Ultimate Dog Lounge and Bed is much more elegant than others, but with the extra large size it is a perfect supportive choice. 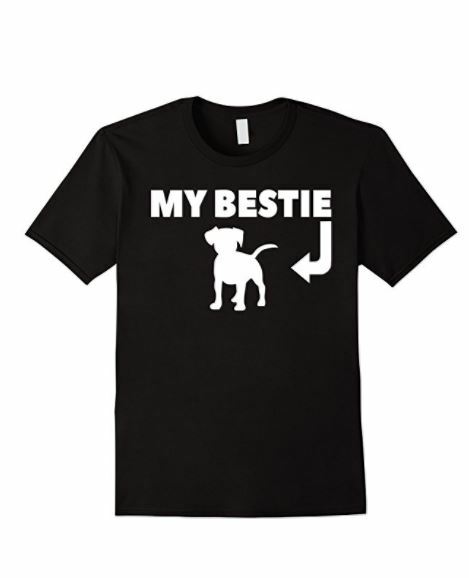 This one is big enough for the largest breeds, or for your smaller breeds to share. It is an extra large dog bed with memory foam that you and your pets will love. I love that it comes in two bigger sizes. The XL is 44×34 inches and big enough for most large-breed dogs. For giant breeds, though, they offer a XXL Jumbo size that’s 50×40! You will spend a bit more on this one, though. While the XL is under $200, the jumbo is a bit over that. The Kopeks Orthopedic Memory Foam Dog Bed with Waterproof Inner and Outer Cover is great if your older dog is prone to accidents due to poor bladder control. With a washable waterproof inner and outer cover, the bed itself is even better protected. At 50”L x 34”W x 7” , it’s not only one of the largest beds on this list, but also among the thickest! The premium memory foam is comparable to the foam you find in high-end mattresses. The Kopeks bed also features an anti-slip rubber bottom, which is a must for home with hardwood floors! 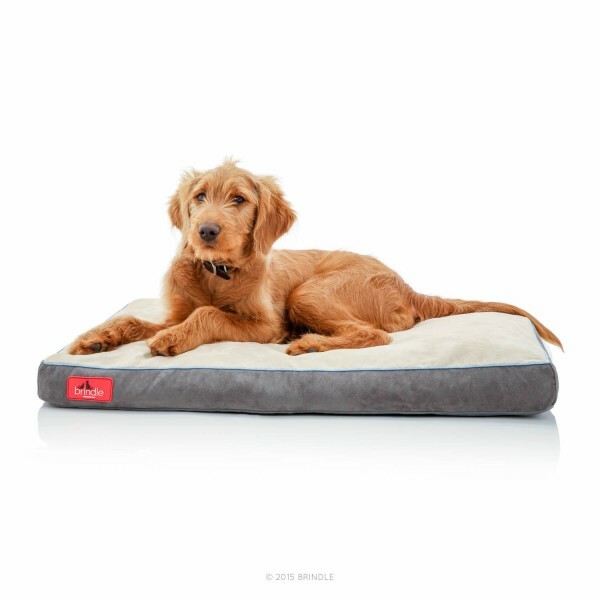 The Brindle Soft Memory Foam Waterproof Dog Bed is another great choice! It’s one of my favorite extra large dog beds with memory foam because it comes in SO many different sizes and colors. On the larger end of the spectrum, they range from 34×22 all the way up to 52×34. With the cover easy to remove and wash, it is one that you can easily change out as needed if your dog has an accident. 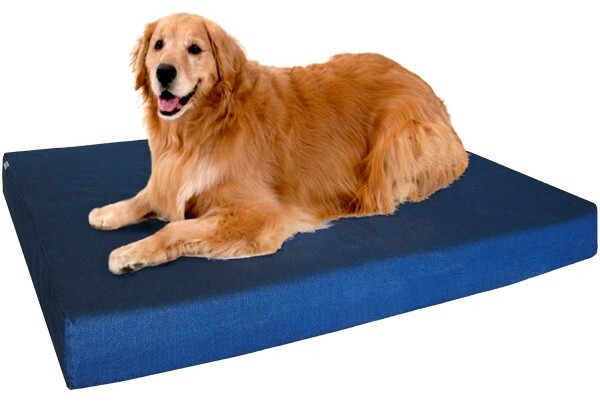 The memory foam conforms to your dog’s weight and pressure to relieve achy joints, arthritis and hip dysplasia. While the Big Shrimpy Original bed doesn’t technically have memory foam, it uses a special fill called SmartFill that acts very much like a foam bed. SmartFill is made of 100% recycled materials and can easily be re-fluffed if it shifts around inside the bed. One thing I love about Big Shrimpy: it’s super durable! The cover is made of a rip-resistant nylon, which is a must when you have aggressive chewers! The inside cushion is both odor and water-resistant, and can even be removed and washed if needed. The extra-large Big Shrimpy measures 46″ x 57″. Alas, BOGO doesn’t mean “buy one, get one” in this case. It’s the name of the bed! Like the Original, the Big Shrimpy Bogo Bed contains SmartFill rather than memory foam, making it perfect for those looking for an eco-friendly bed. The main difference between the Bogo and the Original is, as you can see, the overall shape. 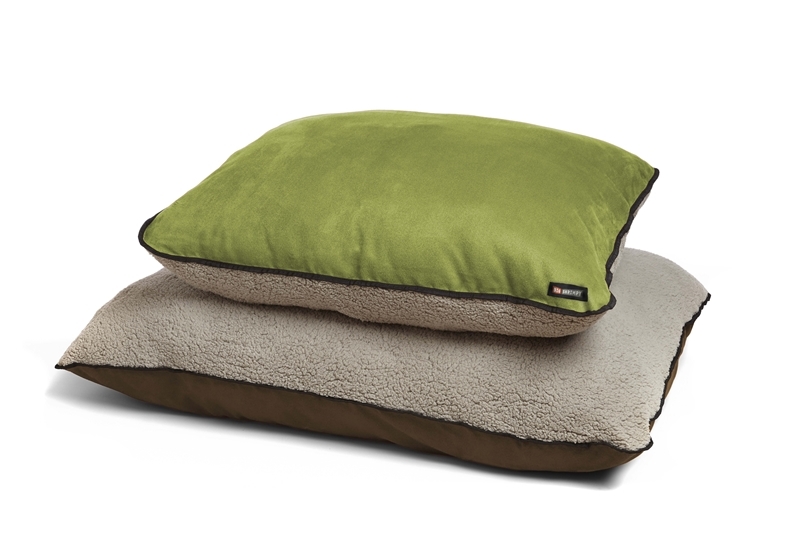 While the Original looks more like a traditional dog bed, the Bogo is more pillow-like. It also has two completely different textures for your dog. On one side, you have the cozy Berber fleece. On the other, your dog can snooze on vibrant faux suede. If you’re looking for one of the most stylish extra-large dog beds with memory foam, the PetLo Orthopedic Pet Sofa Bed is definitely it! Don’t you just love how it looks like a little couch? The XL measures 46″ x 36″ x 10″. Keep in mind that the sides make up part of that 10” of thickness. The cover is washable, and the inside is filled with only the best memory foam available. No cheap fillers like cedar or cotton batting. 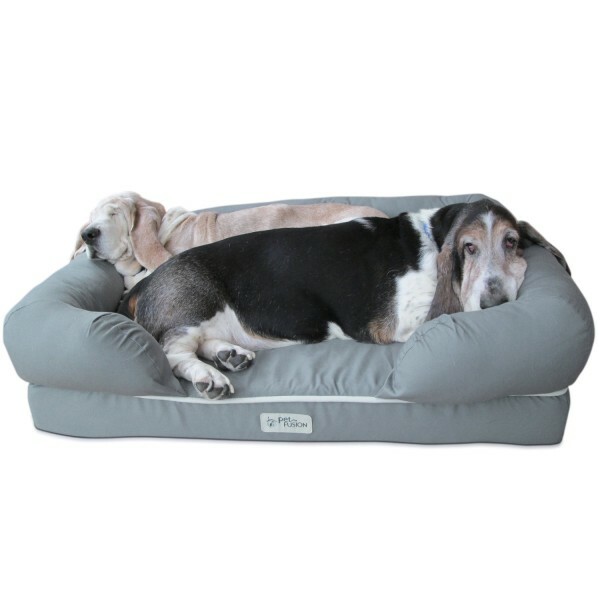 Another super classy bed, this Stella Beds Orthopedic Memory Foam Dog Bed is a great option for older dogs with arthritis. Gel-Infused Memory Foam Layer for Summer (Keeps Dogs Cool). Plush Crate Memory Foam Layer for Winter (Keeps Dogs Warm). Basically, you flip it over depending on the season! It also includes a washable bed cover and a 100% satisfaction guarantee. 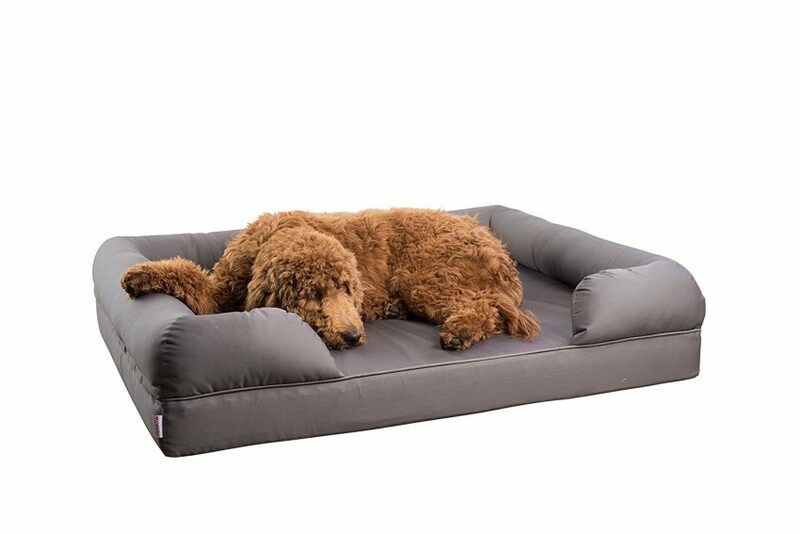 At a whopping 7” thick, the Laifug Orthopedic Bed is one of the overall thickest extra large dog beds with memory foam on this list. 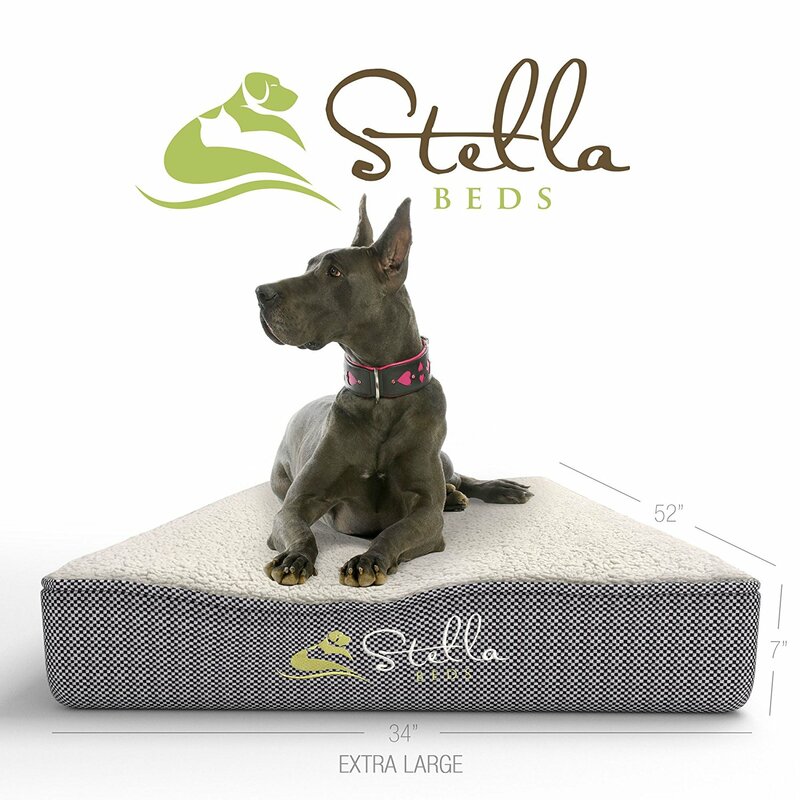 The large bed is 43”L x36W and fits dogs up to 150 pounds. Like most of the other beds on this list, it features a waterproof liner and removable cover. The cover itself is made from super soft faux suede. 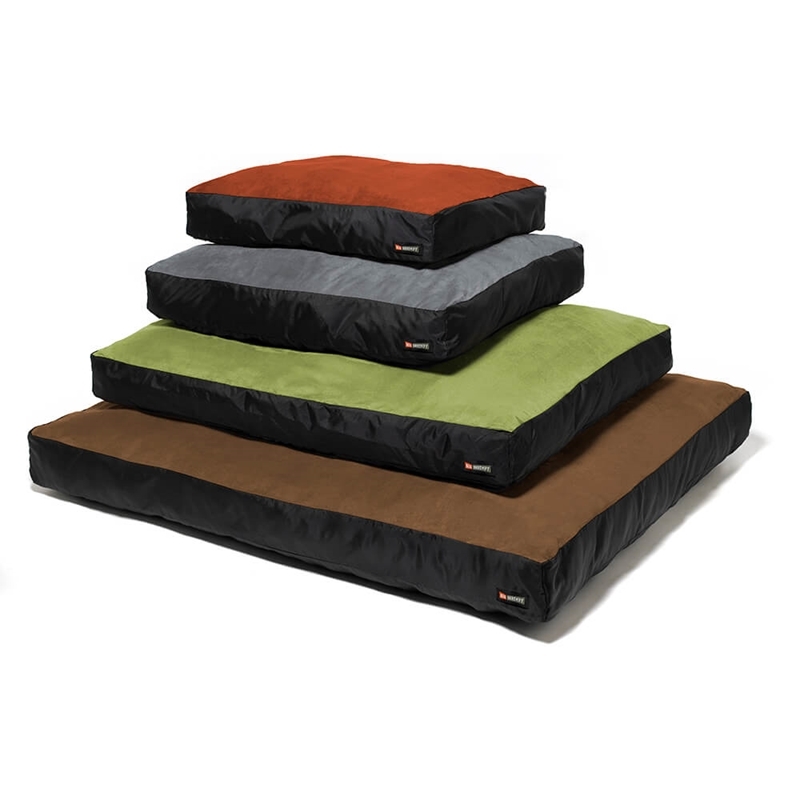 Your dog will rest comfy on the high-quality memory foam and elevated sides that act like four pillows. These extra large dog beds with memory foam are a perfect solution for your large breed dog with aching joints. 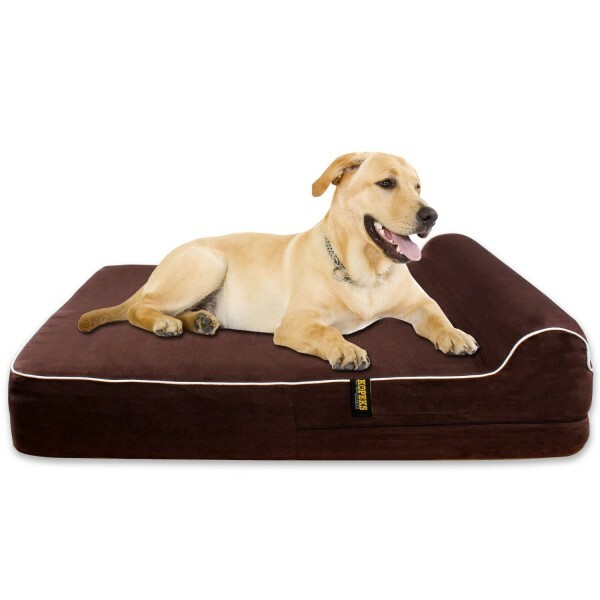 A quality memory foam bed for your dog will keep them out of your bed and off your furniture. 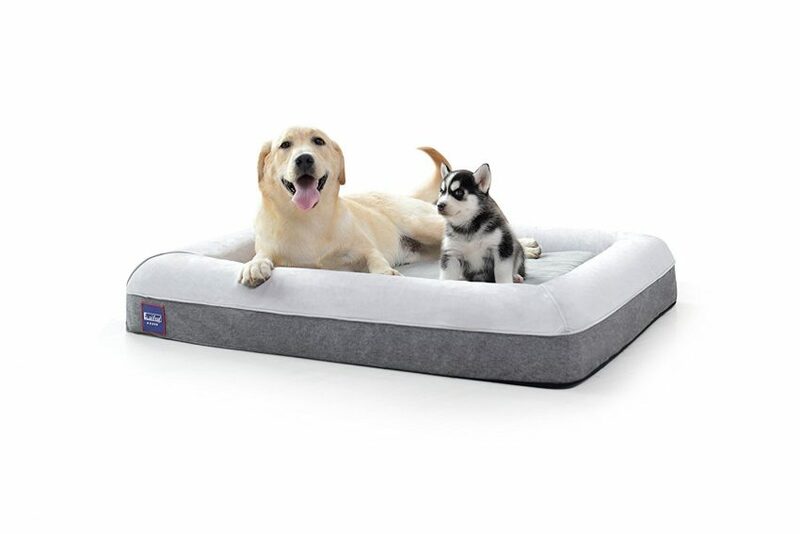 It provides an excellent soft bed your dog will love. Do you have any of these comfy extra large dog beds with memory foam? Which one would your dog love to cuddle up on? Tell us in the comments!